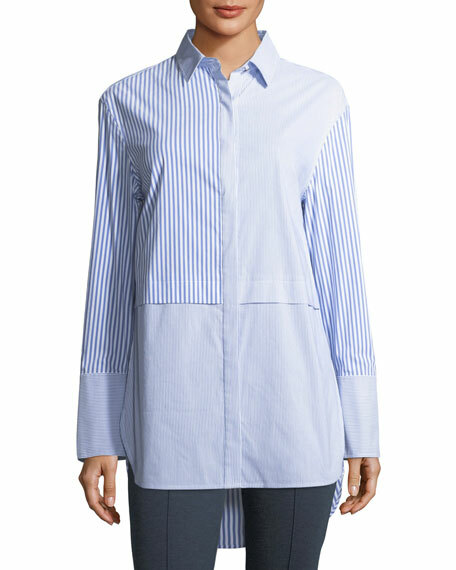 St. John Collection shirting tunic in stretch-poplin. 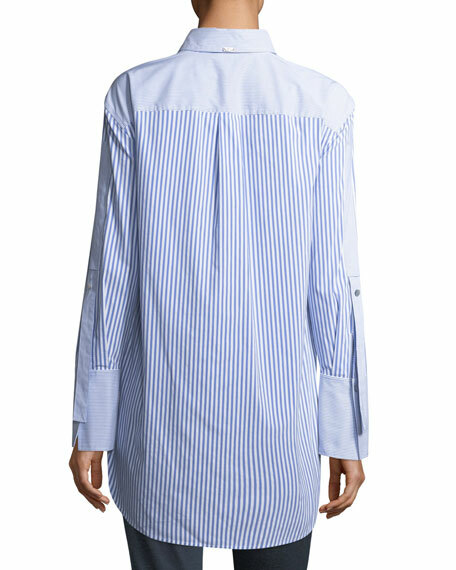 Long sleeves; bell cuffs; cinched sleeve detail. For in-store inquiries, use sku #2319767.